Bees get their nourishment by collecting nectar and pollen and are major pollinators of flowering plants. 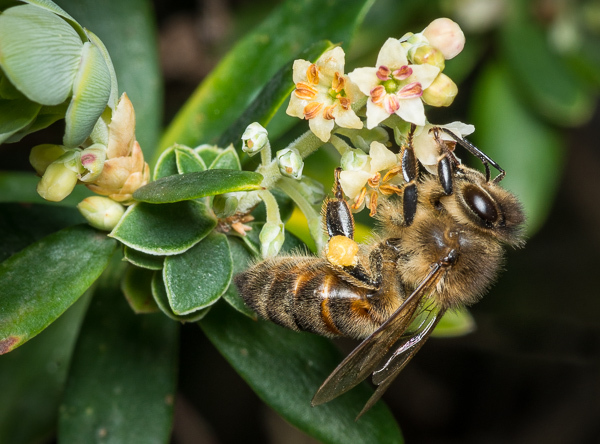 Nectar (liquid sugar) is offered as a reward for insects to transport the pollen (which sticks to their bodies) from one plant to another so that pollination can occur. Bees have devised a far more worthwhile transport system - they put large quantities of the sticky pollen on their hind legs (as you can see in this photograph) to carry back to their nest.